A fine-tuned and well executed marketing campaign can turn a small company into a huge profitable business and what better way to advertise than via the use of billboards? Striving to look official and strict in your ad may be your plan, but the truth is that some of the most eye-catching billboards are also the most hilarious and weird ones. Additionally, if you have enough money you can rent a billboard and make your own sign just to prove your point or for the fun of it. 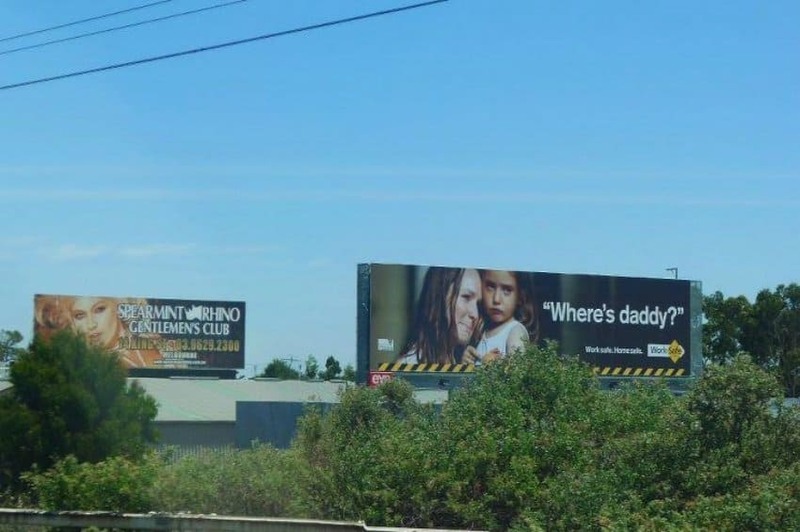 The following 10 billboard signs are not only extremely creative, but they are some of the most discussed and talked about ad campaigns simply because of how bizarre and funny they are. 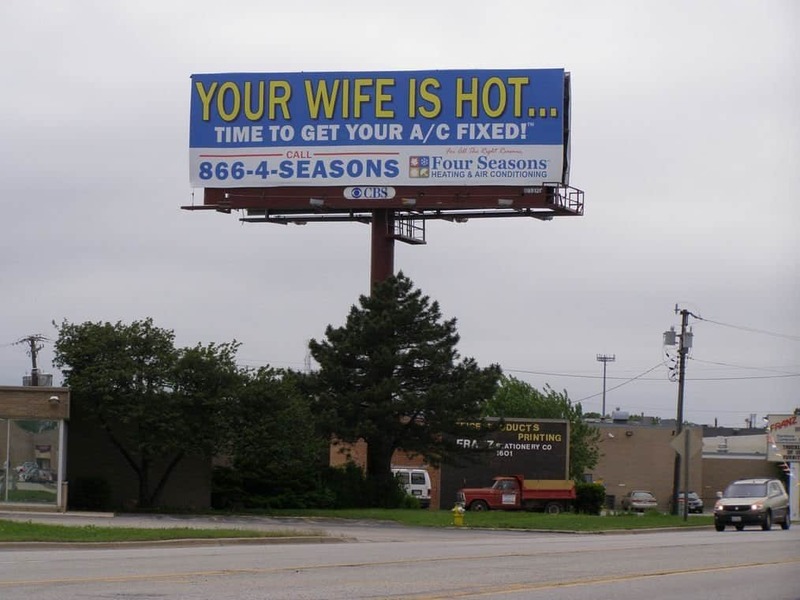 Quite punny, this A/C repair shop managed to create a hilarious billboard. 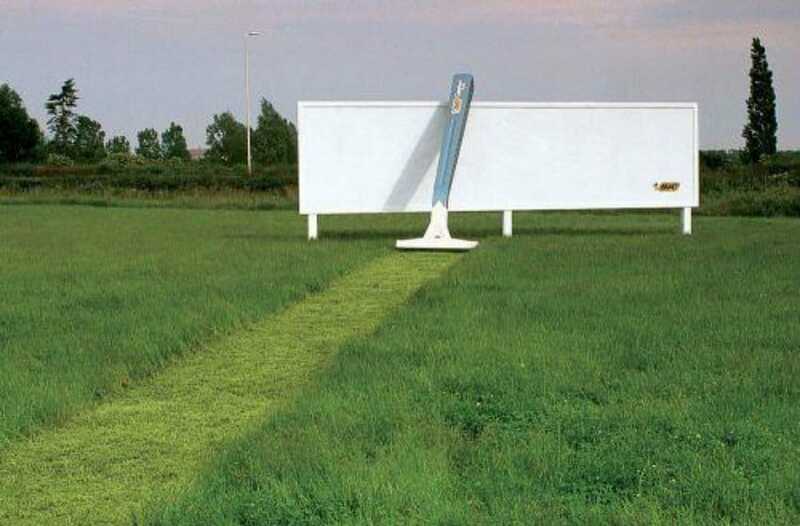 What better way to make a creative billboard sign than using the surroundings to your advantage. Bic did just that and the result is quite funny and memorable. Simplicity leads to perfection. 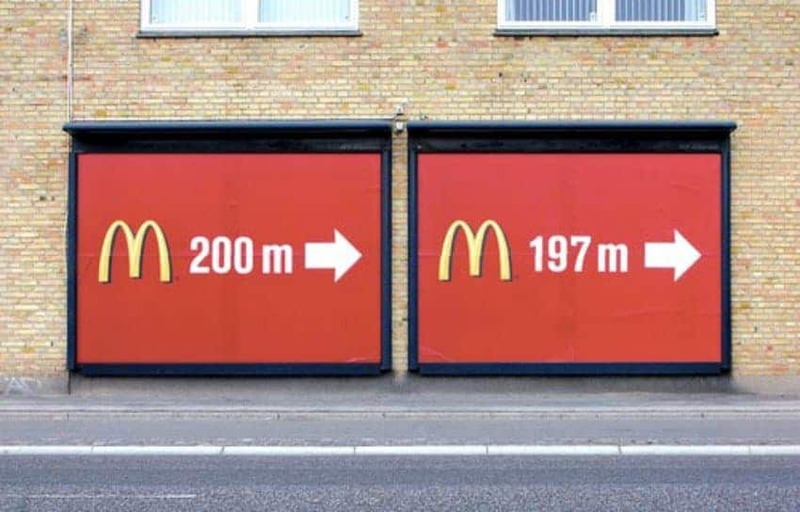 This ad campaign by McDonald’s is for those of you who truly need a direction in their lives. Got a problem with your plumbing? 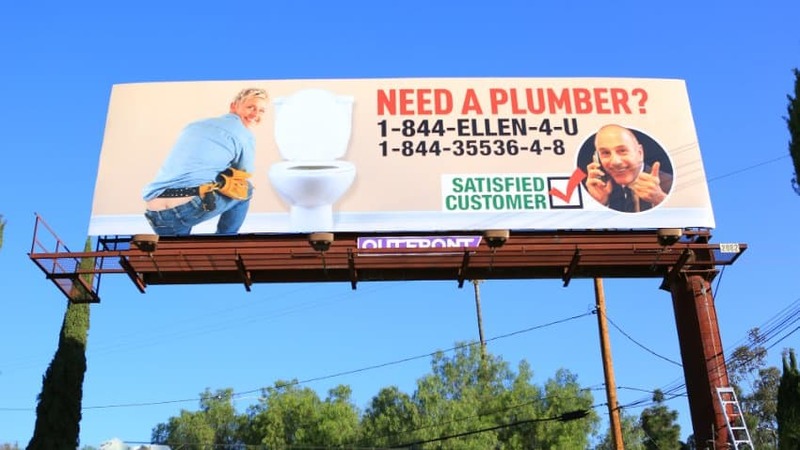 Quickly call Ellen for you! 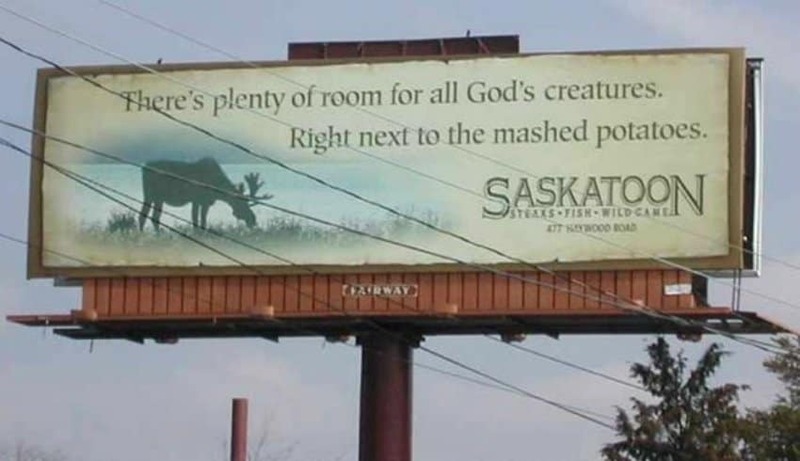 Saskatoon restaurant may have pissed off some believers, but their ad campaign is truly hilarious. 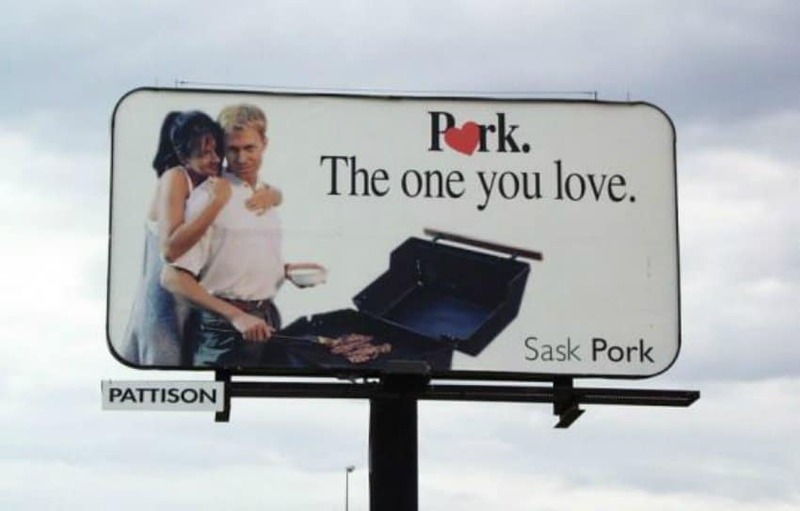 Hinting at what you should do next, Sask Pork managed to create an awesome billboard. 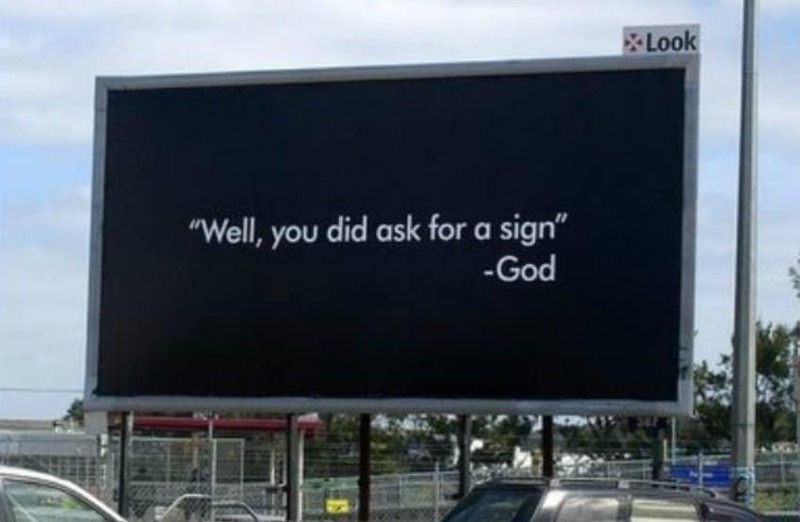 Who knew God could rent billboards as well. If you are looking for a sign, here’s it! Created in response of the WorkSafe billboard, Spearmint Rhino Gentlemen’s Club managed to give an honest, but a funny response. 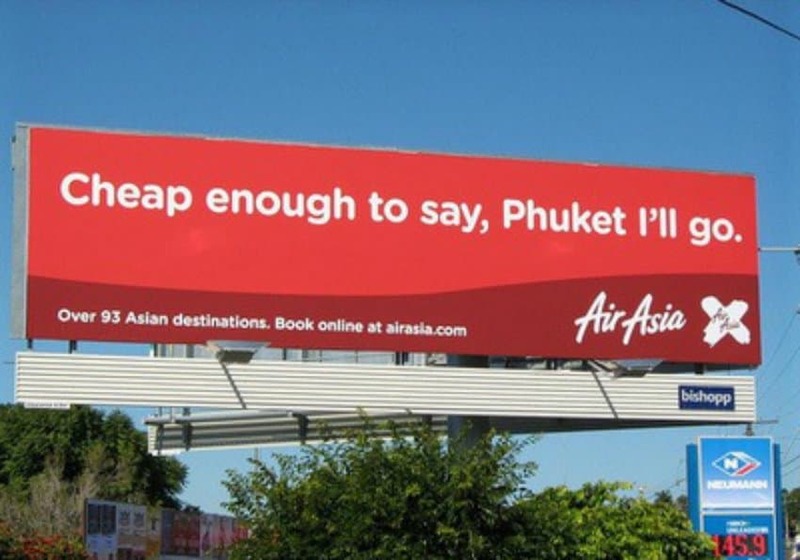 Air Asia have created a memorable and funny billboard by only saying one simple, but hilarious sentence. Although this billboard is hilarious for the name of the business it advertises, we can’t help but laugh. 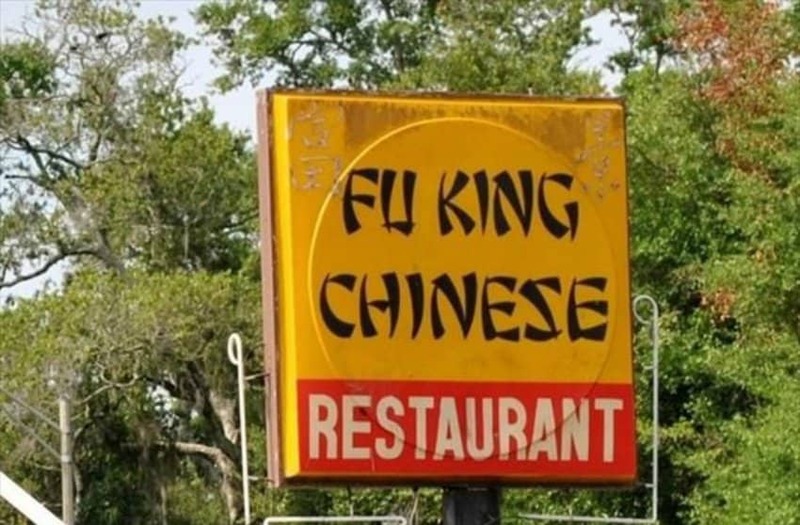 You can also purchase a Fu King T-Shirt at the Fu King Chinese Restaurant.